For a limited time, this come with a FREE Bubbler attachment! Power: 350mah. CloudV brings you the Classic Vaporizer Series for your concentrate or viscous products. It features an ultra slim design for maximum discreetness and portability. This multiple Best Product Award Winning vaporizer has truly revolutionized the vaporizing experience by bringing reliability, simplicity, discreetness and style. 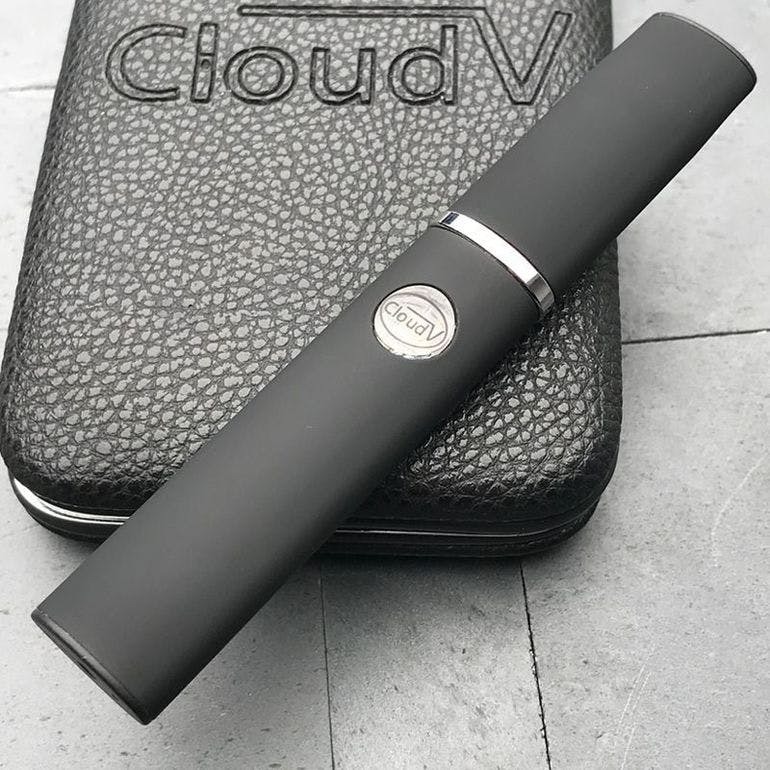 Classic Kit includes everything you need to start enjoying your clouds right away: Cloud Classic 350mah Battery, Cloud Classic Mouthpiece, Cloud Tornado Atomizer, Retractable USB Charger, Wall Charger, Cloud Case, Cloud Standard Tool, and Cloud Owner’s Manual. The Cloud Classic Battery is rechargeable, lightweight and features a pin charging port on the bottom. It is recommended to always use the Cloud Charger provided in the kit to charge your batteries for a longer lifespan. The battery has a built in safety mode that allows you to lock/unlock your battery between uses. All Cloud Classic Batteries come with a unique Serial Number printed on the bottom of the battery – next to the charging port. You may register your battery upon receipt for a Cloud V Lifetime Warranty to receive your warranty card. In the event of any issues, your Cloud Classic Battery will be replaced at no additional cost. The Cloud Tornado Atomizer is included by default in every Cloud Classic Kit. This heating element features a fully ceramic interior which heats up your viscous products instantly, giving the highest vaporizing satisfaction. This patent-pending funnel structure will make your loading and cleaning process easy. More info and pics at https://cloudvapes.com/classic-vape-pen. SpeedyTree is an authorized CloudV Distributor.